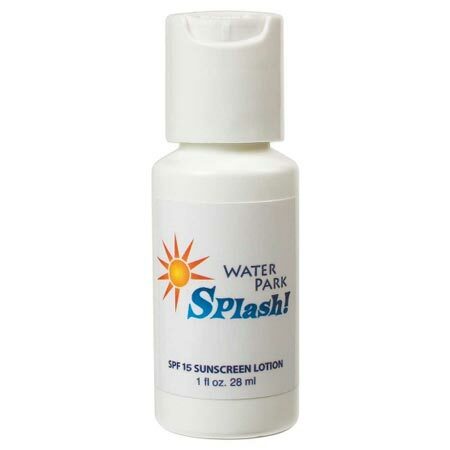 Promotional Sunscreen Bottles SPF15, 1 oz. Custom Printed in Full Color. FDA approved, Budget Prices in the USA and Canada. Fast Production. Wholesale Promotional 1 Oz. SPF15 Sunscreen Bottle on sale. Lowest cost in USA and Canada for promotional 1 Oz. Sunscreen Bottle. American clients pay no taxes. The unit prices below include your 1-color custom imprint on one side. Setup Charge: $50.00 per order; $25.00 on repeats. PRODUCTION TIME: 3-5 days after art approval. Canadian Clients : Please Multiply all US prices by 1.30. Packaging: 200 per carton @ 17 lbs. or Email us for personal assistance or for items you cannot find.